> The challenge will run from January 1, 2014 to December 31, 2014. Each month will have its own link form so you will be able to share your book reviews. You do not have to review the books you read to participate, but only those who read/reviewed at least one dystopian book will be able to participate in the giveaway (you can track your reading without the reviews with Goodreads, Shelfari etc.). > Books that count in this challenge must include any form of post-apocalyptic theme (book sites like Goodreads are good sources of genre information). The books must be full-length. > Rereads allowed (but not the same book five times in a year!). > It does not matter whether it's a series or a stand-alone book. > If you are participating, grab the challenge button from below and post it on you blog. You can also make a post with the header (the code is also below). Please include the link back to this post so others will be able to participate as well. > If you will participate, put the sign-up link to your blog post (about the challenge) or blog (for the button) directly into the linky below. Sign-ups will be open until December 15, 2014. > You do not have to list your books in advance, go and do as you please. Read as many as you want and whenever you want, as long as you have fun! > Info about the giveaway will be available in December 2014. > Do not cheat with books of other themes/genres/topics because I do check! For this challenge, I am going to aim for the Recruit (1 to 6 books). I am going to begin low because I don't often read dystopia, hence why I am going the challenge! Books read for the challenge need to have been published before January 1, 2014, but read and reviewed between January 1, 2014 and December 31, 2014. ARC’s and galleys received in 2013 for books that will be published in 2014 DO NOT count. Books can be any format, any genre, and written for any age group – no restrictions! Reviews can be posted wherever you feel comfortable – your blog, Goodreads, Amazon, etc. To enter your review into the monthly prize draw, you must link to your review. Reviews do not have to be a certain length to be eligible. You choose your own goals for this challenge! Please be sure to have your number somewhere on your goals post/page. My goal for this challenge is to read 5 books published in 2013 and before. I think I can do it! To allow for the greatest level of flexibility, we've separated series into three categories: series started before 2014, series started in 2014, and series rereads. Series started before 2014 are defined as series that you have started reading before Jan. 2014 and that you still have unread books to get current in (or finish) the series. Series started in 2014 are defined as any series that you start reading between Jan. and Dec. 2014, and the second book in the series must be published before December 2014. A series reread is defined as books that are part of a series that were read before Jan. 2014 and that are reread between Jan. 2014 and Dec. 2014. A series reread does NOT have to include the full series. For each category, there are different levels of seriousness about series that you can choose. Semi-serious is reading 1 to 6 series, seriously serious is reading 7 to 12 series, super seriously serious is reading 13 to 18 series, and seriously spectacular series star is reading more than 18 series. I am going to aim low for this one because I tend to abandon my series, so I am going to aim to finish 1 to 6 series this year. I am aiming for the CD level for this challenge, because I have been reading off my Kindle more often than I used to. This one is simple - read 50 books in a year. I have only been able to complete this once, I came close this year, though. In my opinion, a classic is a book that has endured for some reason ; therefore, I am defining a classic as a book that was published at least 50 years ago. Therefore, any book published after 1964 is ineligible. Please identify the categories you've read in your wrap-up post so that I can easily add up your entries for the prize drawing! A Wartime Classic 2014 will be the 100th anniversary of the beginning of World War I. Any book relating to a war is fine -- WWI, WWII, the French Revolution, the War of the Worlds -- your choice. A Historical Fiction Classic. This is any classic set at least 50 years before the time when it was written. For example, Margaret Mitchell publishedGone with the Wind 70 years after the end of the Civil War; therefore, it is considered a historical novel. A Tale of Two Cities and The Scarlet Letter are also historical novels. However, older classicsset during the period in which they were written are not considered historical; for example, the novels of Jane Austen. I have been meaning to read more classics and I believe this is the perfect way to do it! My main goal is to complete the required categories and then if I can, get onto the optional ones. 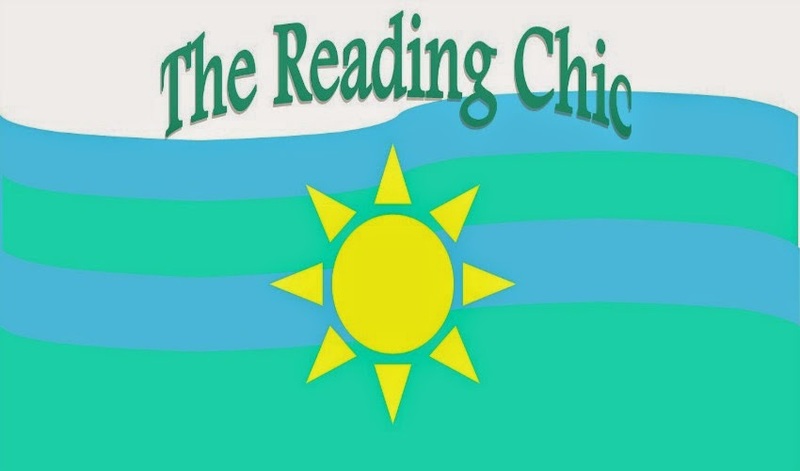 For this challenge, unlike my other ones, I will be making a set list that will soon be posted in my Reading Challenge tab, so check that out if you want to see what books I will be reading for this challenge. Woo! There we have it! These are the year-long challenges I will be participating in the year of 2014. What challenges will you be participating in? Tell me in the comments below! Recently I was on vacation in New York City, which is one of my favourite cities in the entire world. 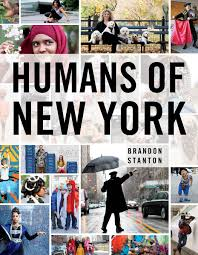 I'm sure a lot of you have heard of the Blog Humans of New York, and if you haven't, you can check it out here. It is a blog in which a photographer, named Brandon Stanton, goes around New York City photographing the people that he comes across. He then interviews them and to go along with each photograph he has either a little story that these people tell him or a funny line that he comes up himself. I had the pleasure of attending a book signing that he held while we were in the city. Although we did not get the chance to talk to him because the signing was running late, he was really nice and signed our copies. AND, we picked up a signed copy to giveaway to you guys! Twin Spin and I will be giving away one signed copy to one of you. This is open to US and Canada only.